With his blond mop-top hair, bumbling manner and tendency to drift into Latin during speeches, he remains one of Britain's most recognisable politicians and has that rare quality — natural charisma. But many MPs and activists dislike him for his disloyalty to May, his liberal use of facts — including the so-called Brexit financial dividend — and until now, failure to follow through on his promises. He was widely mocked last month for arranging a trip to Afghanistan to avoid having to vote for a third runway at London Heathrow Airport, which he had once said he would lie in front of bulldozers to prevent. Critics also cite his suggestion that a British-Iranian woman held in Tehran on sedition charges may have been training journalists — something her family strongly denies, and fear jeopardised her case. 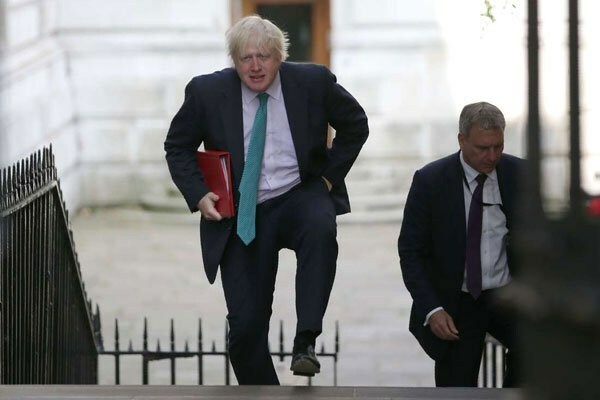 Johnson's appointment was a surprise given his history of mocking world leaders and other cultures in his long-running column in The Daily Telegraph newspaper. He described White House hopeful Hillary Clinton as a "sadistic nurse", and once wrote about Africans as "flag-waving piccaninnies" with "watermelon smiles". His resignation came in the middle of a Western Balkans summit that he was supposed to be hosting in London. One of those rare politicians known simply by his first name, "Boris" was born in New York in 1964 as Alexander Boris de Pfeffel Johnson into a competitive, high-achieving family. His father Stanley was a Conservative member of the European Parliament; one brother, Jo, is a government minister and his sister Rachel is a journalist and writer. All three gave their support to the "Remain" camp, but he came out strongly for Brexit, although apparently he had considered backing the other side for a while. Rachel Johnson told her brother's biographer that, as a child, he wanted to be "king of the world" when he grew up. Johnson won a scholarship at the elite Eton school and read classics at Oxford University, where he was a member of the Bullingdon Club, an all-male dining society known for rowdy behaviour. Johnson became a journalist, working at The Times — from which he was sacked for fabricating quotes — and The Telegraph, including as Brussels correspondent. He became MP for the then opposition Conservatives in 2001 and was later appointed as the party's arts spokesman before being sacked over accusations of lying about an alleged extra-marital affair. Despite London normally tending towards the Labour party, he was elected mayor in 2008 and stayed until 2016, including overseeing the 2012 Olympic Games. June 19, 1964: He is born in New York as Alexander Boris de Pfeffel Johnson into a high-achieving family. 1983: After going to school at Eton, he goes to Balliol College in Oxford from where he graduates in classics. 1987-1988: Works as a journalist for The Times newspaper, from where he is sacked for fabricating quotes. 1989-1994: Becomes The Daily Telegraph's EU correspondent in Brussels, known for his deeply eurosceptic writings. 1999-2005: Editor of news magazine The Spectator. 2001: Elected as Conservative member of parliament for the Henley constituency. Re-elected in 2005. 2008: Defeats Ken Livingstone to become mayor of London. After being re-elected for another four years in 2012, he oversees that year's successful Olympic Games. May 2015: Elected as MP for Uxbridge and South Ruislip constituency. Re-elected in 2017. 2016: Becomes the figurehead of the campaign for Britain to leave the European Union. After prime minister David Cameron quits when Britons vote for Brexit on June 23, Johnson pulls out of the race to replace him at the last minute. July 13, 2016: He is appointed foreign secretary in the government of the new prime minister, Theresa May. July 9, 2018: Resigns over May's Brexit strategy.